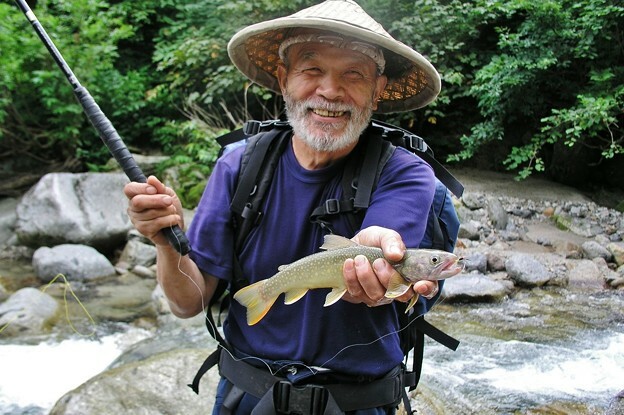 Known as "Tani no Okina(Old man of the valley)", a living legend of genryu tenkara fishing, Yuzo Sebata is probably the most well-known tenkara master of Japan. When he was in his early 20s, he met "Nikko Tenkara method", that was inherited by very limited number of mountain people secretly. He mastered Nikko Tenkara the end of the struggle, and subsequent years of mountain stream fishing career and practices he has developed that method by himself. Long furled taper line called "SebataLine" and his kebaris called "Sebata Kebari" are especially famous. Now, by courtesy of Yuzo Sebata, we have started the sale of Sebata Kebaris at our shp. We introduce 2 types of most popular Sebata Kebaris, which are Kiji-bane Sakasa(Pheasant Sakasa) and Minoge Kebari(Grizzly Minoge). Our Sebata Kebaris are tied by our exclusive professional tyer Hiroki Iijima, who is the only tyer admitted to tie commercial Sebata Kebaris by Yuzo Sebata. Materials are checked and selected very carefully by Yuzo Sebata, and he instracted the procedures of fabrication to Hiroki Iijima very accurately. The appearances of Sebata Kebaris tied by Hiroki Iijima are exactly same as Yuzo Sebata's. We use custom ordered Gamakatsu Kantsuki Yamame hooks for our Sebata Kebaris. Kantsuki Yamame hooks were Yuzo Sebata's most reliable hooks because of its hooking performance and rigity, but those hooks have been discontinued since years ago. So we special ordered the hooks to Gamakatsu for Sebata Kebaris. Please try to take our Sebata Kebaris to your hand. Kiji-bane Sakasa Kebaris are famous Sebata Kebari paterns. The body has several color variations. 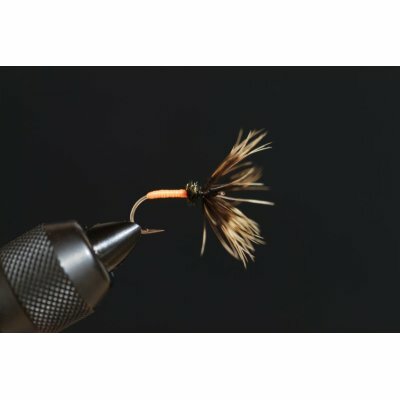 Soft pheasant feathers shimmer well in the water and entices trout. So to give action to the kebari is ideal for this patern. About #12 in fly hook size. Size of pheasant wings have some difference depending on the material. 3 Kebaris(Flies) in a set.